Forget MTV Or YouTube — Will.i.am To Debut New Track From MARS! Whether we're paying a visit to Griffith Observatory or just stargazing on a clear evening, outer space will never cease to amaze our inner nerd. Plus, with the successful Curiosity landing on Mars (and Mohawk Guy's dreamy 'do), this summer's been pretty other-worldly. 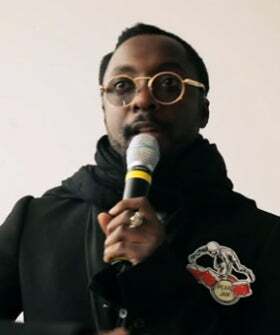 And, it looks like Britney Spears isn't the only pop star who's over the moon about the Mars Rover — will.i.am of the Black Eyed Peas will debut his new track, "Reach for the Stars," appropriately from space.